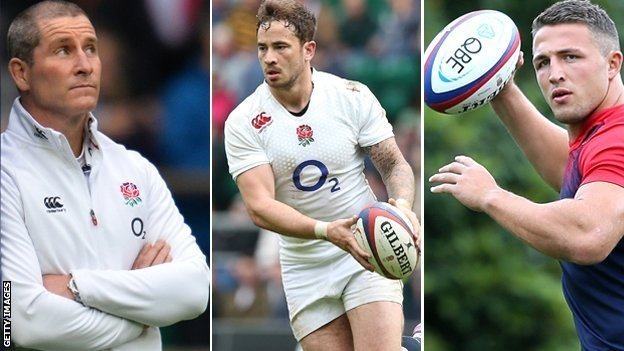 After weeks of speculation England’s 31-man World Cup squad has been announced and perhaps I shouldn’t have been surprised at the amount of criticism being levelled at the selection in social media and in the rugby press. Most of it has been surrounding two players; the inclusion of Burgess and the omission of Cipriani. None of us know what went on during the camps in Denver and Pennyhill Park, we can only make our judgements on the two games against France. Burgess made a tremendous impact in the first game and there is a lot of talk about what he brings to the squad in term of leadership and big game experience. In Paris, all the squad members were present and those that weren’t playing were at the pre-match dinner. I was next to the players’ table and it was clear how tight-knit the squad is with Burgess a central figure. I went across to speak to them briefly, my actual motive being to ask them if they were drinking the wine on their table (they weren’t) and take it back to mine (which I did), and you could see how comfortable they were with each other and Sam Burgess was the one to ask with a grin what the bottles were worth to me (he suggested that I could pay off his mortgage!). The arguments for Cipriani’s inclusion seem to be based more on emotion, a desire to see a creative playmaker with hopes that he will unlock defences. However these calls seldom suggest who should lose their place to accommodate him; Goode and Brown both had good games and both are sound defensively and Goode’s chip to create May’s try at Twickenham showed that there is a lot to his game. Ford and Farrell are the established fly-halves and it would be difficult to justify dropping either of them. Slade’s selection might satisfy those who want to see some imagination in attack. The fact is that Rugby World Cups have been won by the team with the best defence throughout the tournament and the England squad is one that balances this with an attack that scored five tries in two games against the French and nearly snatched an improbable victory in Paris. There are still some reporters saying that Steffon Armitage or Nick Abendanon should have been included, that Chrs Robshaw isn’t a proper open-side flanker and that Dylan Hartley may still be recalled. This last scenario could happen as RWC rules allow for replacements in the case of a tournament-ending injury to a squad player and the same of course could apply to Cipriani. As for the others, it’s time to stop talking about what ifs, maybes and why the team will fail; it’s time to get behind England and start believing that with this squad and home advantage for all but one of their games (the Uruguay fixture is in Manchester) England have their best chance in a generation to lift the World Cup.